Dr. Mohd. Sajid Khan is a renowned and very successful cardiologist who has had an experience of about 9 years in the field of Cardiology. With an immense amount of excellent patient ratings, he has gained quite a high amount of popularity all over. You can avail his services at Alshifa Hospital at respective timings. You can also connect with him via call or online text. He also work at the Metro heart Institute where he has a reputation as a renowned cardiologist. Dr. Khan finished his MBBS from Ganesh Shankar Vidyarthi Medical College in 2007 and her MD in 2011 from the same college as well. He is a well renowned among both peers and patients alike. The services and treatment provided by her include cardiac surgeries as well as implants. 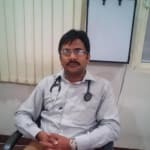 He believes in the theory of providing the best possible services and treatment measures to his patients. He aims at improving the heart health of his patient in the long run.